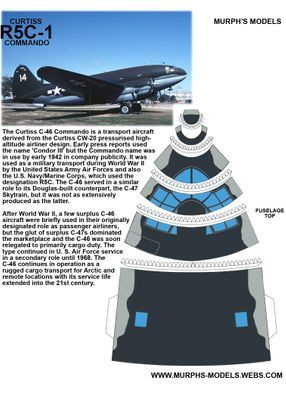 The Curtiss C-46 Commando is a transport aircraft derived from the Curtiss CW-20 pressurised high-altitude airliner design. 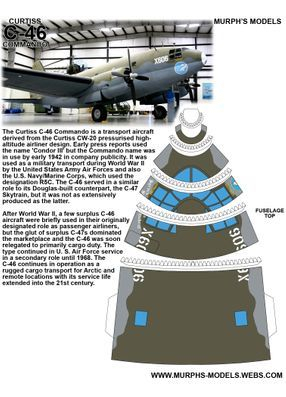 Early press reports used the name 'Condor III' but the Commando name was in use by early 1942 in company publicity. 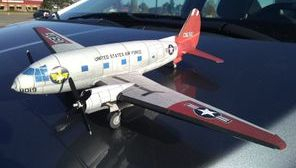 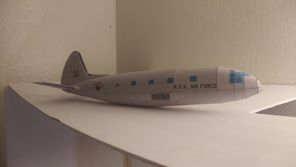 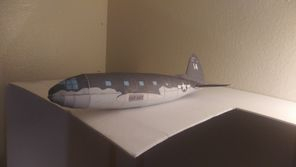 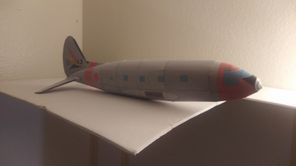 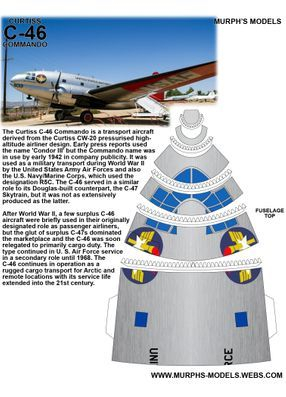 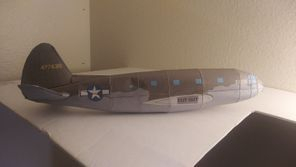 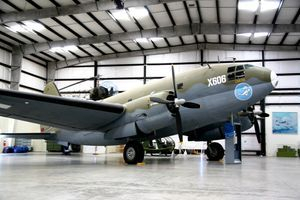 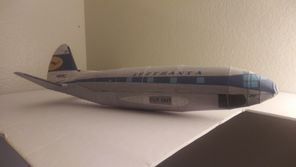 It was used as a military transport during World War II by the United States Army Air Forces and also the U.S. Navy/Marine Corps, which used the designation R5C. 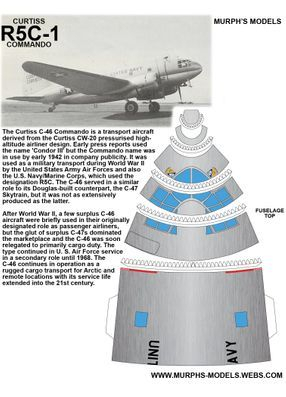 The C-46 served in a similar role to its Douglas-built counterpart, the C-47 Skytrain, but it was not as extensively produced as the latter. 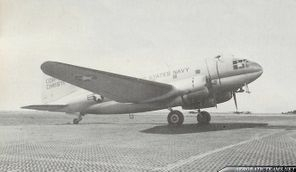 After World War II, a few surplus C-46 aircraft were briefly used in their originally designated role as passenger airliners, but the glut of surplus C-47s dominated the marketplace and the C-46 was soon relegated to primarily cargo duty. 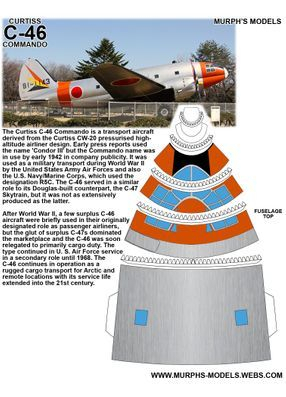 The type continued in U. S. Air Force service in a secondary role until 1968. 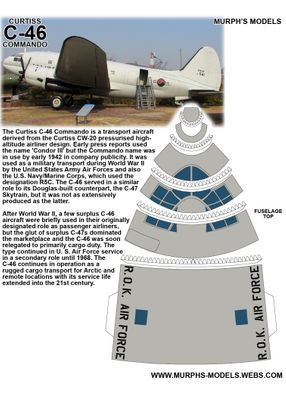 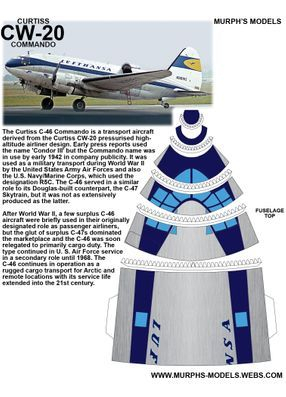 The C-46 continues in operation as a rugged cargo transport for Arctic and remote locations with its service life extended into the 21st century.